Leland Legends is renowned for serving up some nostalgically-hip libations, as well as exquisite meals ranging from ribeye steaks to a wide variety of sandwiches. Located at the base of the iconic Leland Tower in downtown Aurora, the restaurant also recently welcomed its new owner, Ron Woerman. The proposition was offered to him one day out of the blue, he said. “Within weeks it went from a conversation—to us taking over (Leland Legends)” from its previous owner, David Karadema. 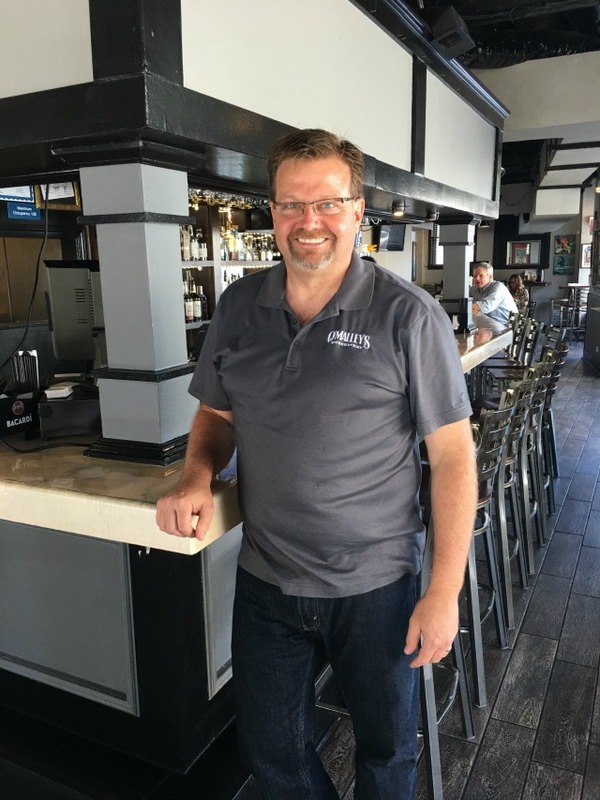 No novice to the restaurant industry, Woerman is also the general manager of the popular Spartan House, located at 1032 Prairie St. in Aurora, as well as O’Malley’s Pub and Eatery, an Irish sports bar on Hill Ave. Currently focusing his energy on this new venture, Woerman, when asked about possible changes, explained, “Short-term, we’ve changed the menu,” condensed it, and “made it more practical for the size of the kitchen.” He mentioned that the previous menu was fairly extensive, but that a wider selection of beers is being adopted as well as new cocktails. He has no immediate plans to alter anything drastically, he said, such as changing the name or restyling the overall image, citing that the previous owner had done a “great job” with the restaurant’s direction. Woerman also expressed a willingness to be flexible in regards to the menu, stating, “If we put something [in it] that doesn’t work then we can always take it [out] and reprint it,” obviating at his readiness to tailor their menu towards what he thinks will better reflect the preferences of his clientele. Woerman also understands that the rich history of the tower is something people cherish, and he fully plans to uphold its legacy while still embracing change. An advocate of progress and new development, he nonetheless believes strongly in retaining a historical building’s distinctive character, a credo he no doubt applies to the restaurant. He said that to a certain degree, he does feel inspired to promote the rich history of the former Leland Hotel, mentioning also how he loves the old building’s many “quirks,” unique design qualities, and architecture. The tower, built as a modern and fashionable hotel in 1928, has boarded the likes of Al Capone, Big Joe Williams, and John Dillinger. Nods to its bluesy, infamous past can be seen through posters and photographs adorning the restaurant’s walls. Such a celebration of bygone times even worked itself into the new drink menu, which keeps in style the classic and old fashion drinks the younger crowd has seemingly learned to embrace, while still retaining a balanced selections of wines and more modern staples. But when it comes to the atmosphere at Leland Legends, there’s something oddly satisfying about sitting at a table drinking the same drink as did Al Capone (a Tom Collins) in the very same building in which he did so. After spending fifteen years in Chicago, Woerman developed an appreciation for the exciting and artistic feel of city life, which he says is clearly reflected in the culture of downtown Aurora. To most people, running this modestly swanky restaurant and bar out of such a historic building may seem like the ultimate realization of a set goal. But Woerman has much more ambition than the average Joe, and in the future hopes to work closely with other local business owners to put on various community events aimed at drawing more visitors to the area, and spreading the word of its uniqueness and spirited industries. Combining historicity and gastronomical originality, Leland Legends stands out as one of the city’s premier dining hubs, always offering a welcoming atmosphere, and a one of a kind experience. Though sure to be one of downtown Aurora’s hottest eateries for a long time to come, there’s no reason to wait to bring your friends and family in for lunch or dinner. With high-quality service, high-quality cooking, and skilled mixology, it’s not difficult to see why the legend lives on. Brendon Kolodziej and Victoria Alexander, both students at Aurora University, are fall interns for Aurora Downtown.